While reeling from one of the most creative--but at times self-destructive--outpourings of his life, Tao Lin discovered the strange and exciting work of Terence McKenna. McKenna, the leading advocate of psychedelic drugs since Timothy Leary, became for Lin both an obsession and a revitalizing force. In Trip, Lin's first book-length work of nonfiction, he charts his recovery from pharmaceutical drugs, his surprising and positive change in worldview, and his four-year engagement with some of the hardest questions: Why do we make art? Is the world made of language? What happens when we die? And is the imagination more real than the universe? Tao Lin is the author of the novels Taipei and Richard Yates and Eeeee Eee Eeee, the novella Shoplifting from American Apparel, the story collection Bed, and the poetry collections cognitive-behavioral therapy and you are a little bit happier than i am. He was born in Virginia, has taught in Sarah Lawrence College's MFA program, and is the founder and editor of Muumuu House. 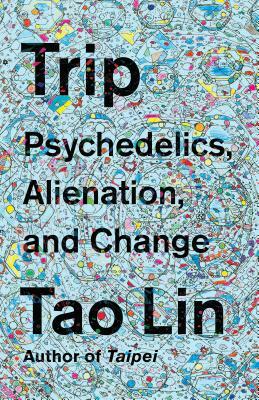 “Trip is not only a book about drugs--it's about the condition of humans at this point in history, troublingly divorced from our natural capacity for awe by our chemically depleted bodies and minds. This book has changed how I understand myself on a cellular level. It's a superbly researched, moving, and formally inventive quest for re-enchantment, and Tao Lin's most compelling and profound book yet.” —Sheila Heti, author of How Should a Person Be?